Fall in love with the John Lewis Draper armchair in chloe emerald. With greens being such a big colour influence this season in the home, this chair could be the perfect introduction to this colour in a lounge design. It’s a modern midcentury style with its classic lines. The Draper is a contemporary sofa with elegant, classical lines. Featuring a button effect seat and back cushions that provide a comfortable yet supportive sit. Modern proportions take on vintage design and offer a deep, inviting lounging experience. Thoughtful design details combined with tailored arms and slender legs will make this a stylish yet functional addition to your home. For those who want the antithesis of monochrome interiors and prefer a richer more opulent look then using jewel tones for interiors can give a warm, rich, homely and welcoming feel to a home. 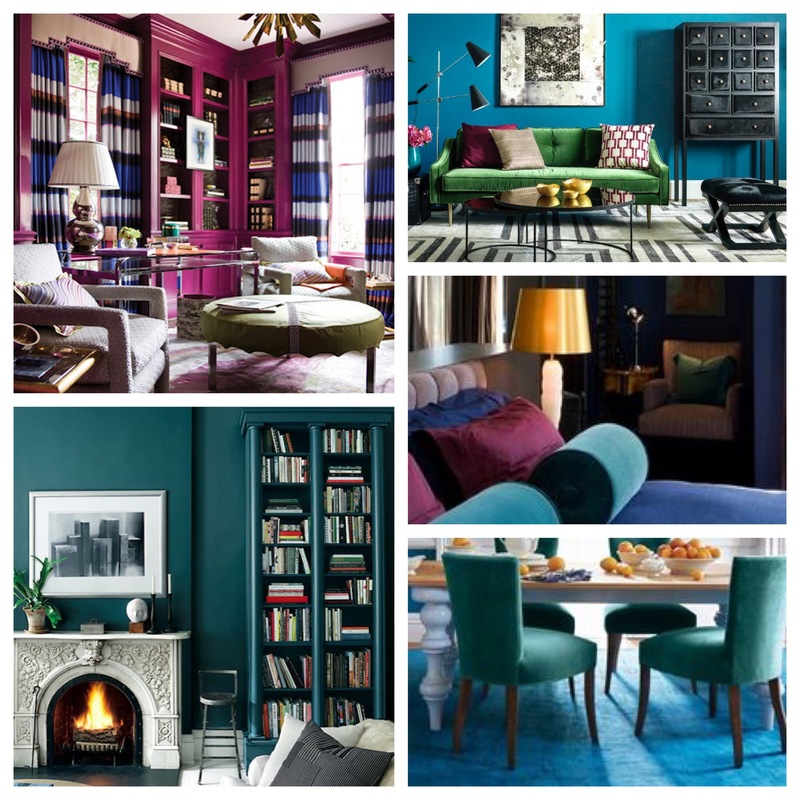 A variety of jewel tones, including turquoise, teal, jade, ruby and burgundy can compliment each other and work well in a room together – but also varying shades of the same colour can be very effective and impactful. Currently other on-trend colours including navy and copper sit very well with this colour palette and act well to set off the rich tones. We love going bold with this trend and including floors, woodwork, furniture as well as soft furnishings all in the colour palette. Using high street brand Habitat paint is perfect as it works on both walls and wood to ensure matching colours throughout. And for fabrics opt for velvet, cord and satin to compliment the trend.